Hey guys! So it feels like ages since I last did a beauty review here on my blog but I've decided it's something I definitely want to get back into as beauty is one of my favourite things to write about, after all! I'm very lucky to often be sent press samples and I sometimes don't know where to start or what to write about first but from now on, if something stands out to me and I find myself using a products a lot, I'll be sure to let you guys know here on my blog. 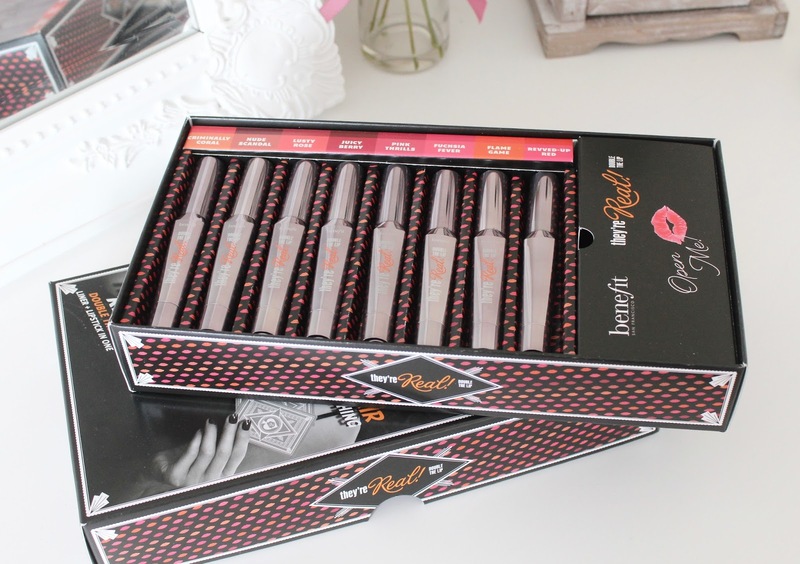 A couple of months ago, a huge box from Benefit arrived at my door and it was full of their brand new They're Real 'Double the lip' lipsticks which are packaged just like the famous They're Real mascara. I personally love the packaging and they look so pretty all lined up next to each other in my makeup collection. I didn't know what to expect from these lipsticks before they arrived as I hadn't heard a great deal about them if I'm completely honest. There's usually a lot of hype surrounding new Benefit launches but this one almost came out of nowhere. When I removed the lids to look at the shades, I was surprised to see that each lipstick had two colours inside. I was expecting one solid colour so this had me very intrigued. After reading the press release, I realised that they're actually a lip liner and lipstick in one tube. How handy is that? 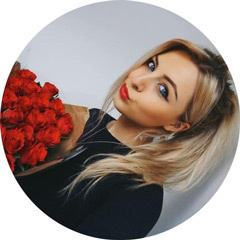 The lipsticks have a 'custom tear drop tip' which Benefit say helps to grab and define the lip line with the darker shade and fill the lips with the complimenting lighter shade for the appearance of added volume and dimension. I love that Benefit's products are always really innovative and different from other launches - I always find trying their products so much fun. 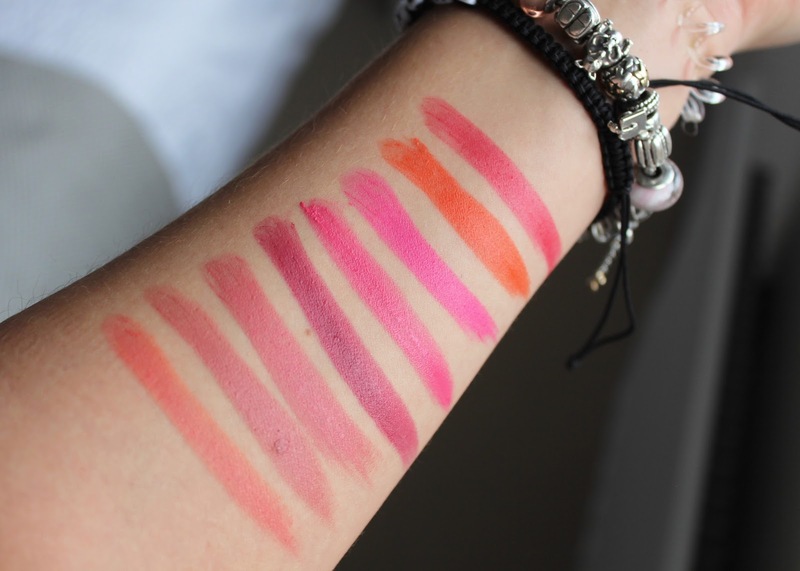 The most important element of a lipstick for me would have to be pigmentation and I can confirm that these ones are insanely pigmented - I mean, the swatches speak for themselves. That level of pigmentation was achieved with a light swipe - impressive or what?! The finish is another important factor for me as I don't personally like anything too matte and drying. I'd say these have a semi-matte finish meaning they certainly aren't glossy but they also aren't super matte to the point they dry my lips out or feel uncomfortable to wear. I like this kind of finish as they look great worn alone or with a gloss over the top. 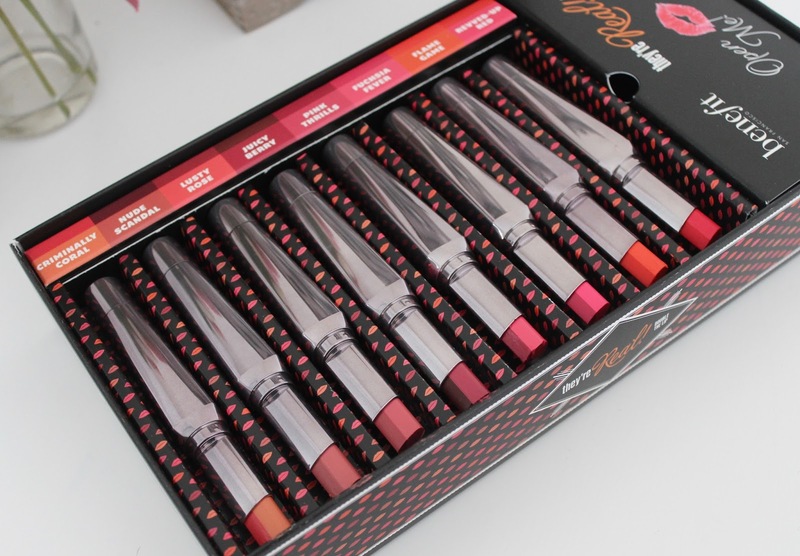 Benefit also claim these lipsticks last for 8 hours but for me personally, no lipstick lasts that long on me, even liquid lipsticks come off after eating and drinking so I wasn't expecting these to last that long. Don't get me wrong, they definitely do last but as with all lipsticks, I do need to reapply a few times through the day. I can't say this bothers me too much but if you're someone wanting a lipstick that lasts all day without the need to reapply, it's something to consider. 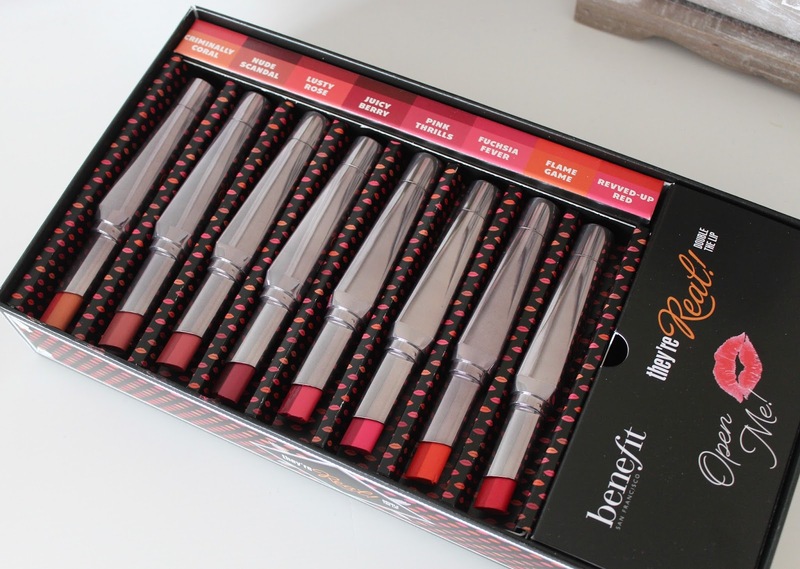 Overall I'd have to give this new release from Benefit a huge thumbs up as I know I'll be getting so much use out of all of these shades. I can't wait to wear the really vibrant ones on my upcoming holiday - how perfect will they look with a tan?! 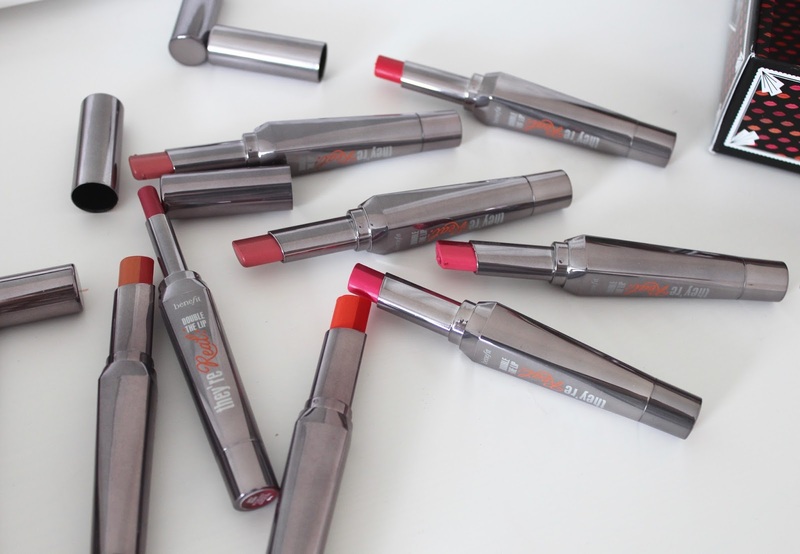 Do you like the sound of these lipsticks? They're available here for £16.50 each. Wow they look so pigmented! Amazing summer shades! These look so nice! Especially the pink and orange colours! Definitely need to try out benefit as I've not used any of their products before yet! 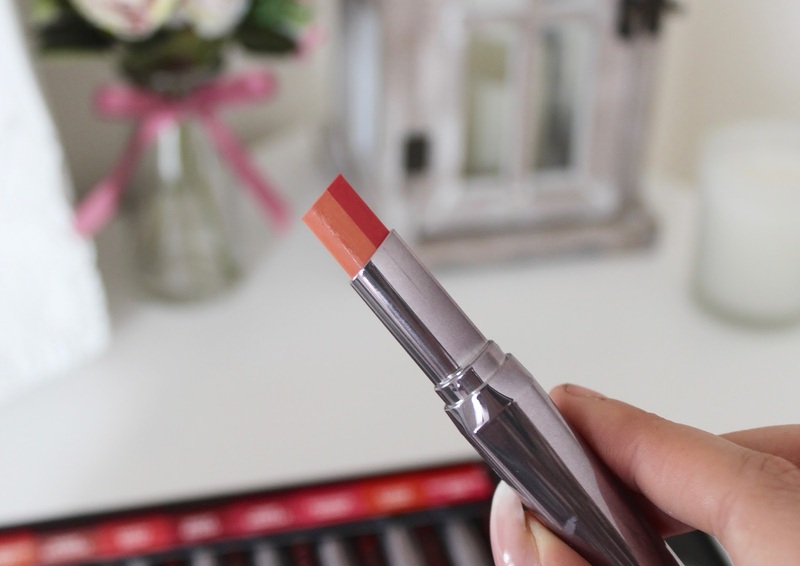 The shades are really lovely and I can see the brighter ones being lovely in the summer! I love that it's a two in one product, looks really good! All of these colours look beautiful!